We walked up to Wegmans with our Yak Tracks on. The temperature is right at freezing and the rain we had overnight froze on every surface. In the produce aisle we ran into Steve Greive and he showed us photos he took of ice covered trees in the marsh near his house. 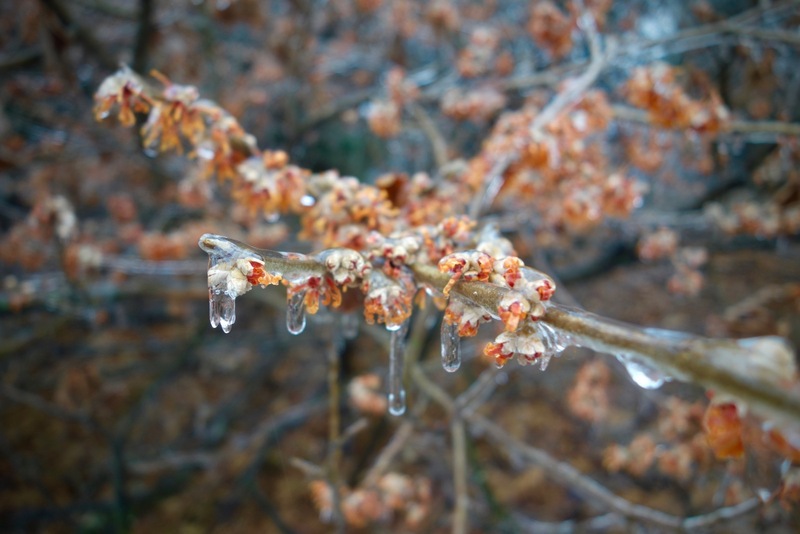 This particular Witch Hazel (above), which blooms in the dead of winter, smells like a rich butterscotch but the scent is trapped inside the ice.